Drawing each line is done in exatly the same amount of time. Which line requires the fastest movement of the red pen? Who points to ("high frequency , high volume ") points to animal chaser. 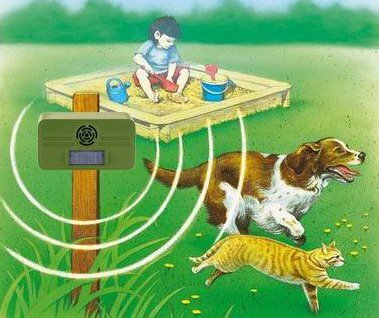 Animal chaser send very high frequencies in very high loudness. In the inner ear there are no red pens, but stereocilia (small hairs) that are forced to take over the movements of the red lines. Who thinks fast movements are more dangerous to stereocilia than slow movements, has already understood the danger of animal chaser. Understanding the danger is an easy task. Anouncing the danger, is very serious matter. There are a lot of important people, former paid to held the danger secret. Getting too close to an ordinary high powered animal chaser just once could be enough to cause life long hearing damage, both audible and inaudible. Further encounters with such devices will make the damage worse. Hearing difficulties over very high frequencies may at first seem trivial, but progressive hearing loss and other after effects are most definitively a very serious matter. Responsible authorities and other partly responsible bodies believe there is no proof that hearing damage is caused by these devices, and it has been suggested that medical evidence has been withheld from the public. 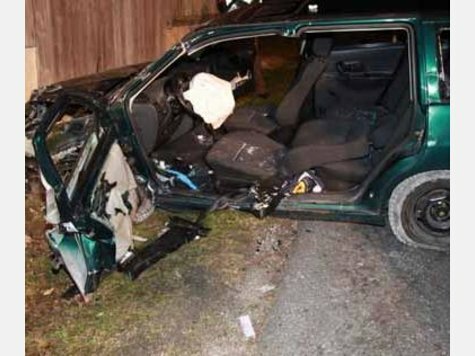 If you understand that speed is a relationship between distance and time, and that a high speed crash (car crash) creates far greater forces than one at low speeds (bumper car), then you will be able to understand the danger of the animal chaser! Loudspeakers generate tonal sound by simply accelerating and braking, by resonating a diaphragm backwards and forwards. The greater the movement the louder the sound. The quicker the movement, the higher the frequency (tone). Both loudness and frequency increase the speed. The sound travelling through the air is moving dust particles. At the same sound level (volume) the particles are moved at high frequencies much faster than at low frequencies. Faster movement requires more force, consuming more of the sound energy. The very high tone of an animal chaser is soon swallowed by air. Elephants communicate with less power but very low frequencies over distances 10 miles and more. At a constant sound level, stereocilia, the small hairs in the inner ear, are moved much faster at high frequency than at low frequency. Stereocilia cannot be moved at unlimited speed. That is a physical rule. The higher the frequency the lower the maximal allowed loudness. Unfortunately, with the animal chaser, the opposite is true. The higher the frequency the more loudness is allowed! The first animal chasers with "legal" technical data were already near the permitted limits. Newer animal chasers are even well above the limit, causing stereocilia to break off or even fall out at their roots. Although animal chasers are not natural, there is a natural security system which acts against the total destruction of all stereocilia caused by a few encounters with an animal chaser. As each colour in the rainbow has its own position, each frequency has its own stereocilia area within the inner ear. If stereocilia areas are destroyed, the affected frequencies are no longer audible. This was the reason why animals stopped running away. This was the reason why early animal chasers were simply not plausible. This was also the reason why automatic frequency changer for animal chaser was invented. Each encounter with an animal chaser accelerates a phenomenon known as presbycusis. The threshold of pain lies approximately between 120 dB and 140 dB depending on the frequency composition. If the ear is subjected to sound pressure within this range, even for just a short period, then permanent hearing damage can be expected. Animal chasers operate well above this critical limit. Deafness in ultra-sonic has no consequences for music and speech and is therefore unnoticed. Most people have no idea about dB(A). The artificial unit dB(A) was created to compare the subjective sensed loudness of noise and music. The unit is roughly based on the human threshold of hearing (Hörschwelle). However, to recognize the danger, the human threshold of pain is crucial (Schmerzgrenze). In the mid-range frequencies of music and speech this danger may also be given in dB(A). But certainly not in the border areas of very low and very high frequencies. Because most people have no knowledge of dB(A) it is commonly thought that the threshold of hearing is 0 dB(A) and threshold of pain is 130 dB(A). If animal chasers are working in very high frequencies they are usually not below, but above the pain threshold. Pain animates animals to run and babies to cry. It can be said that a few experts are responsible for hearing loss in a large percentage of population. They "prove" that the devices are harmless by calculating the dB(A) in the border areas of low and high frequency, thus creating results of permitted hearing levels which are approximately 100'000 times too high. The lowering of the pain threshold "Schmerzgrenze" in the area of high frequency is explained above. Lowering low frequency seems paradoxical. Not the area for receiving low frequency is in danger, but that in the areas of overtones created in the ear itself. This can be explained by harmonic distortion. Not being able to know or not wanting to know something is quite a different matter. Professional people had no chance to convince the authorities, or the media to inform public entirely about what has happened and indeed what is still happening. The Detailed German version turns the responsibility away from professionals to people who would be able to inform the public, but not wanting to. To explain the truth is simple. To explain a lie requires very complicated statements which sound very plausible to an audience but which no one truly understands. Putting it simply, for both street noise and music, the more decibels the more danger. The Swiss insurance SUVA claimed that for animal chasers quite the reverse is true. More decibels mean less danger. Politicians, authorities and the media decide what they want to tell the general public. In the case of animal chasers they are slowly pushing the responsibility far beyond what they ever imagined. Those responsible may feel that it would be better if the man in the street does not complain about animal chasers. Children already deafened in early childhood by very high frequencies are unlikely to complain later. So a few individuals have decided to destroy children's ears. Most people did not intervene, but there are a few individuals who are now aware of side effects, the ADHD (attention deficit hyperactivity disorder) for example. At first everyone involved was told the damage would only affect the superfluous ultra-high animal chaser frequencies. But this damage spreads slowly downwards into frequencies needed for music and speech.